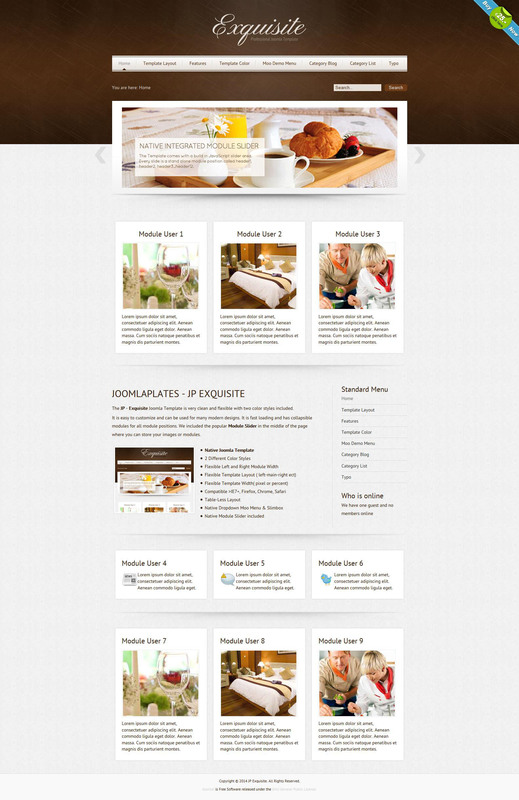 Studio Joomlaplates pleases novelties, she released the original template JP Exquisite , using which site loads pages quickly and optimizes files. This template supports two styles, it is very easy to use and practical in terms of design. It is easily adjustable, so it can be used when creating pages of different orientation. It has a beautiful modern design, as well as an extensive modular system. The basis of the template includes a module that allows you to beautifully display images to the page. This template is perfect for creating websites with design projects, as well as sites that important refined appearance.